Search for the latest homes for sale in Island Estates in Sandestin Resort in Miramar Beach, FL. 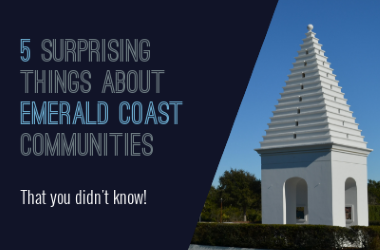 Learn more about the community with our local Island Estates Guide. Explore other coastal communities and listings. Island Estates is an exclusive gated neighborhood on the beachside of Sandestin Resort. This neighborhood is a hidden gem of the resort. Listings are rare. There are nine single-family custom homes nestled on a small island on Horseshoe Lake. These homes have 3- and 4-bedroom floor plans. Homes may feature swimming pools, custom features, and other amenities, as expected at this price range. Ownership includes a Beach Club membership. A private tennis court is available to owners and their guests. Rentals are not allowed. The listings on this page include homes in Island Estates in Sandestin Resort in Miramar Beach, FL. If you’re interested in scheduling a showing or learning more about any one of these homes, simply fill in your contact information and click the “Request More Info” button. Our team is here to provide you with any information you need, including disclosures, the sales history of a property and nearby market data. Call a real estate expert at TrueSouthCoastalHomes.com - (404) 395-4381. We specialize in coastal communities on Florida's Emerald Coast from Destin and Niceville to 30A and Inlet Beach. We are committed to a 5-Star experience and to finding you the perfect home that matches your list of wishes and needs.